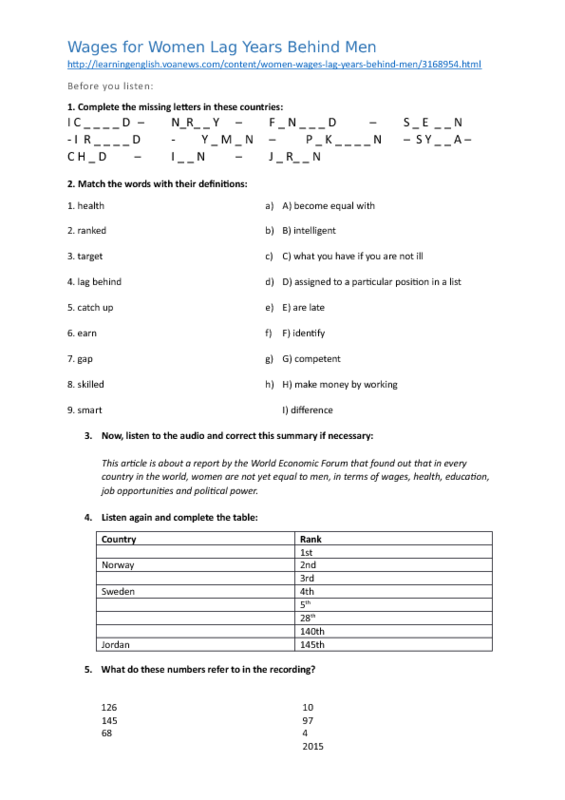 This worksheet provides listening tasks to go along with an audio from Voice of America about a report on gender equality. 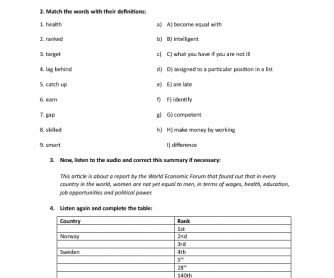 The link to the page is provided at the top of the worksheet. This can also be used with business English classes to introduce the topic of women in business.